SLIMLINE SFF VERSION. Part works. product works great and looks as described. Form Factor - Mother Board Connector - CPU Connector - 20 4 pin Connector x 1. Great item. Type: TFX SFF. Compatible models shown above are for reference purpose only. not all compatible models are listed. MTBF: 100,000 Hours on Maximum Load at 25°C. Compatible models shown above are for reference purpose only. not all compatible models are listed. MTBF: 100,000 Hours on Maximum Load at 25°C. Should it not work for any reason. Product must be presented to us within the warranty period. (New never used. For Dell slim and other computers. 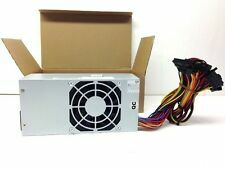 ex)for Dell Vostro 200(Slim) 200S 400 220S SFF TFX. Type: TFX SFF. Compatible models shown above are for reference purpose only. not all compatible models are listed. MTBF: 100,000 Hours on Maximum Load at 25°C. Frequency: 60 / 50 Hz. Dell Vostro SFF (Slim) 200 200s 220s 400 Inspiron. Inspiron 537s 540s 560s. PFC (Power Factor Correction) technology is standard to provide better efficiency. Furthermore, it frees up more room inside the case for better air circulation and it is easy to install because it is slightly smaller in size. Type: TFX SFF. Compatible models shown above are for reference purpose only. not all compatible models are listed. MTBF: 100,000 Hours on Maximum Load at 25°C. Should it not work for any reason. Output Power 250 Watt. MTBF 100,000 Hours on Maximum Load at 25°C. Usage note Compatible models shown above are for reference purpose only. not all compatible models are listed. No local pick up. Max Output: 250W. - Dell Optiplex 390 790 990 3010SD (Small Desktop) ONLY. Manufacturer DELL. Dell P/N: 4M8GF, 04M8GF. 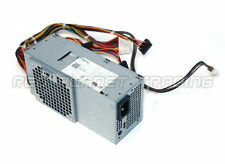 Compatible Dell P/N: W209D CYY97 XFWXR YJ1JT PDF9N 7GC81 HY6D2 6MVJH. There are several computer types for Dell Optiplex series. Vostro 200s 220s 230s 260s 400s. Max Power: 250 Watt. Condition: New. Inspiron 530s 531s 537s 540s 545s 546s 560s 570s 580s 620s 620s. Compatible Model number(s) But Not Limited To: Slim Desktop Systems. Upgrade your HP Pavilion Slimline S5000 or Dell Vostro SFF Slimline 200, 200s, 220s, 537s, 540s, 560s. Re-settable power shut down. more efficient than the original Dell & HP OEM unit. 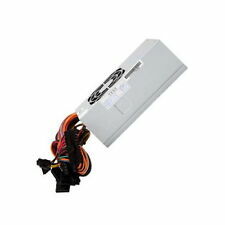 This standard feature extends the life of the fan and provides lower noise operation. Compatible models shown above are for reference purpose only. not all compatible models are listed. See Title Above. Type: TFX SFF. Compatible models shown above are for reference purpose only. not all compatible models are listed. MTBF: 100,000 Hours on Maximum Load at 25°C. WE TRY TO DESCRIBE THE PRODUCT TO OUR BEST KNOWLEDGE. 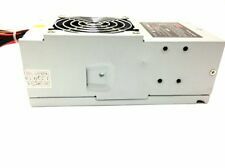 New Genuine Dell 250W Vostro 200s 220s 260s Slim DT Power Supply . Condition is Used. Shipped with USPS Priority Mail. W206D, 7GC81, 6MVJH, FY9H3, CYY97, XFWXR, X3KJ8, YX302, W206D, 76VCK, H5VW9, 57K42, G4V10, 77GHN, 3MV8H, HY6D2, PWJ55, MPX3V, T498G, W208D, W209D, W210D, WX9P8, 6MVJH, YJ1JT, 3WFNF, 5FFR5. Vostro 200s 220s 230s 260s 400s. CYY97, XFWXR, X3KJ8, YX302, W206D, 76VCK, H5VW9, 57K42, G4V10, 77GHN, 3MV8H, FY9H3, 7GC81, HY6D2, PWJ55, MPX3V, T498G, W208D, W209D, W210D, WX9P8, 6MVJH, YJ1JT, 3WFNF, 5FFR5. Vostro 200s 220s 230s 260s 400s. Upgrade your HP Pavilion Slimline S5000 or Dell Vostro SFF Slimline 200, 200s, 220s, 537s, 540s, 560s. Re-settable power shut down. more efficient than the original Dell & HP OEM unit. PFC technology built-in to provide greater transfer efficiency. BESTEC : TFX0250P5W. Applicable chassis list. 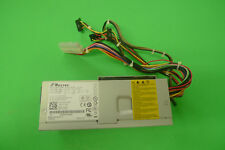 Dell Inspiron 530, 530s, 531s, 537s, 545s, 546s, 560s, 580s. 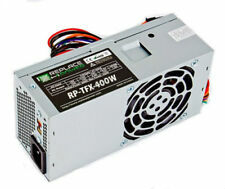 Max Power: 250W. Dell Vostro 100 (Slim), 200 (Slim), 220s, 320, 400. Dell Part Numbers: 43F30, 6423C, H058N, H7NF9, H852C, H856C, J038N, K423C, N038C, P163N, P164N, XW602, XW603, XW604, XW605, XW783, XW784, YX298, YX299, YX301, YX302, YX303. 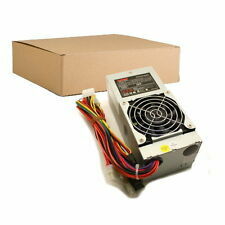 Output Power: 300 W. Connectors: 20 Pin,20 4 Pin,24 Pin,4 Pin 12 V,4 Pin Peripheral,Floppy Drive,SATA I. condition: New. Cooling: 1 Fan. 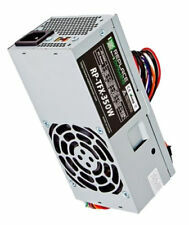 Output Power: 300 W. Connectors: 4 Pin 12 V,20 Pin,20 4 Pin,24 Pin,4 Pin Peripheral,Floppy Drive,SATA I. condition: New. Form Factor: TFX. 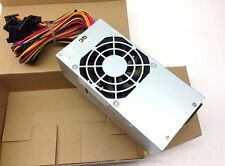 Output Power: 250 W. Connectors: 4 Pin 12 V,20 Pin,20 4 Pin,24 Pin,4 Pin Peripheral,Floppy Drive,SATA I. condition: New. BESTEC : TFX0250AWWA、 tfx0250p5w Tfx0250D5W. ACBEL: PC7067、 pc6038 6036. Dell Inspiron 530S. Dell Vostro 220S. Dell Vostro 230S. Dell Vostro 200. Dell Vostro 230. Dell Inspiron 531S. Dell Vostro 200(Slim) 200S 400 220S SFF. 400W power! POWER SUPPLIES. ‣ Power Supplies. 80mm Cooling Fan w/ Double Ball Bearing. ‣ Motherboards. 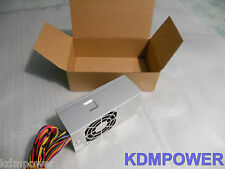 Energy Efficient 350W upgrade Very happy with product! Plug n Play in 3 Dell Vostro 200's. Maximum Power. 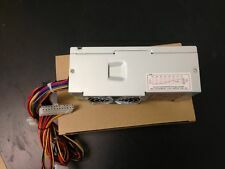 Output connectors includes 24(20 4)pin, P4-12V 4pin, SATA II 15pin, Molex 4pin, and FDD 4pin. Compatibility: Dell Vostro 200(Slim) 200S 400 220S SFF. 350W power! POWER SUPPLIES. ‣ Power Supplies. ‣ LCD Mounts. 275W power! Compatibility: Dell Vostro 200(Slim) 200S 400 220S. POWER SUPPLIES. ‣ Power Supplies. ‣ LCD Mounts. 320W power! Compatibility: Dell Vostro 200(Slim) 200S 400 220S. POWER SUPPLIES. ‣ Power Supplies. ‣ LCD Mounts. Weight: 3lb. Compatibility: Dell Vostro 200(Slim) 200S 400 220 SFF. 300W power! POWER SUPPLIES. ‣ Power Supplies. Weight: 3lb. Compatible models: Dell Vostro 200(Slim),200s,220s. Compatible models shown above are for reference purpose only. not all compatible models are listed. MTBF: 100,000 Hours on Maximum Load at 25°C. Very quiet operation.